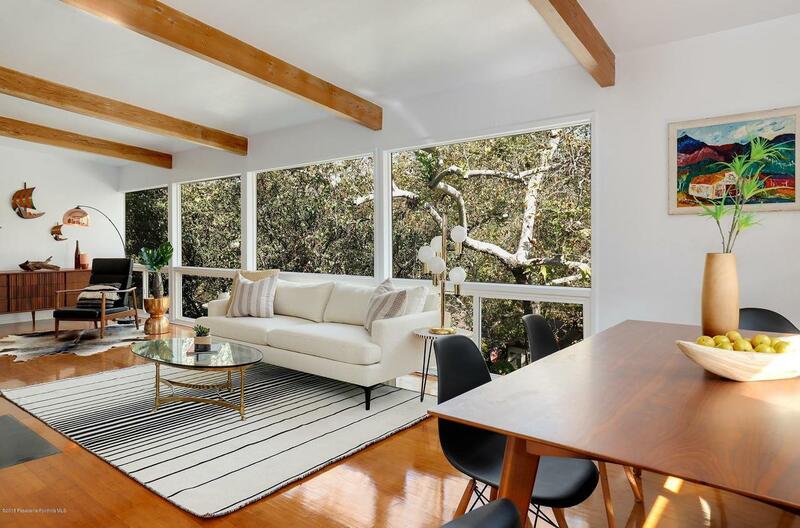 Swoon worthy mid-century modern in coveted San Rafael Hills of Pasadena. Elevated above the street, this gem feels like a private oasis. 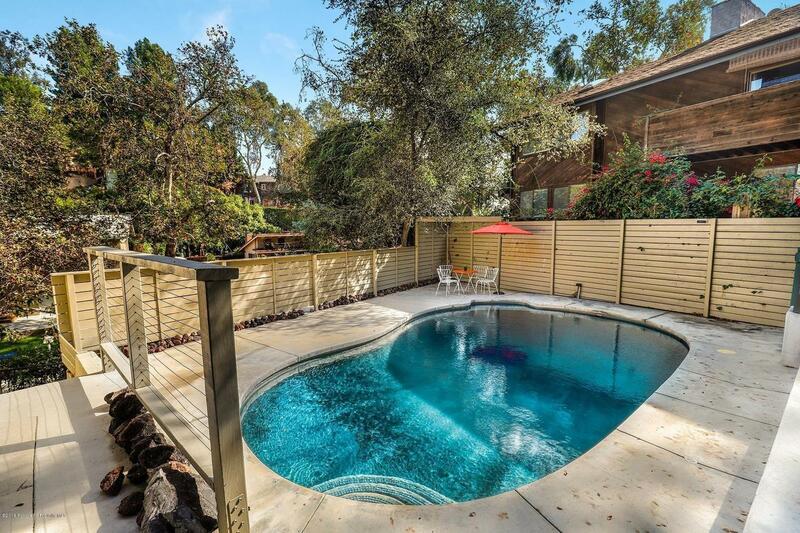 With a generous sized pool and 7916 sq. ft. lot, there is plenty of room for enjoying the the outdoors. Walls of windows flood the home with light and frame tree top views perfectly. The home is decidedly modern with strong, horizontal lines and an open layout that flows effortlessly. One bedroom is located off the entrance with access to a private outdoor area while the other two bedrooms are located at the opposite side of the kitchen / living room. A spiral staircase leads downstairs to a bonus space with 3/4 bath perfect for home theater or guest room. Located in a quiet area of Pasadena with tree lined streets and architecturally blessed homes; it is also adjacent to all the hip eateries and cafes in nearby Eagle Rock and Highland Park. 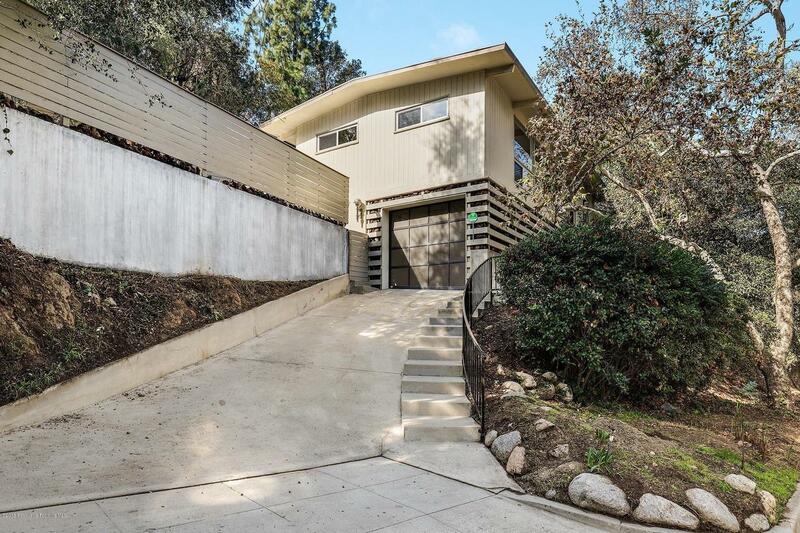 This quintessential mid-century modern home is full of charm and ready to make it your own. Sold by Sarah Chambliss BRE#01989718 of Maser Condo Sales Team. 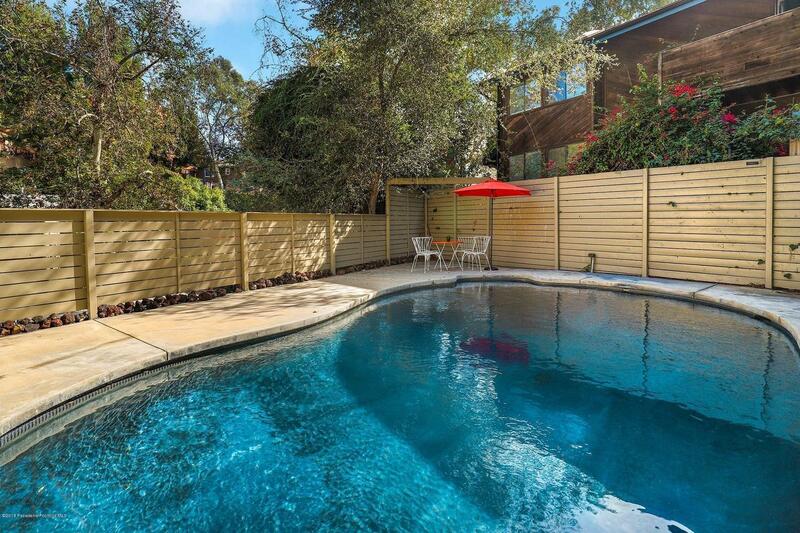 Listing provided courtesy of Ryan Hanke DRE#01989718 of Redfin Corporation.